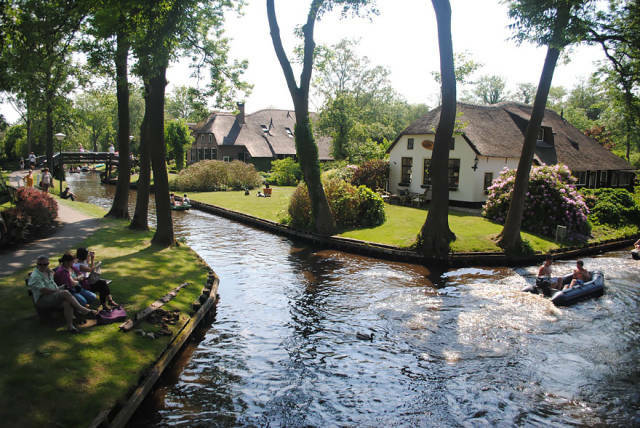 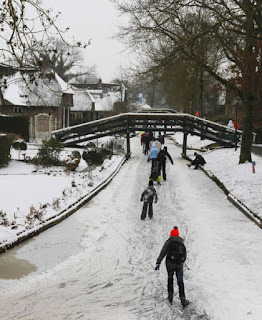 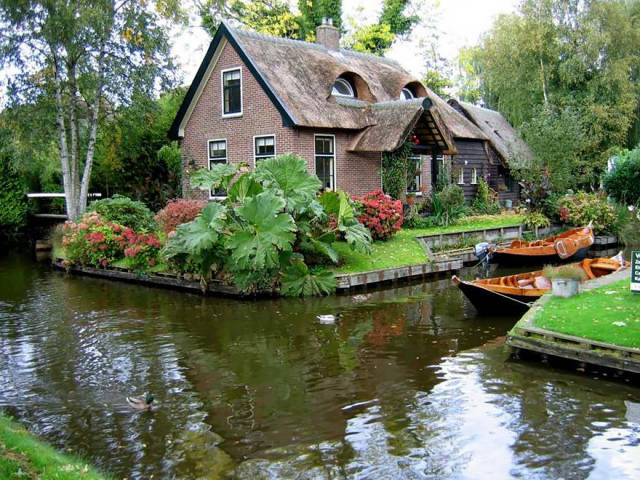 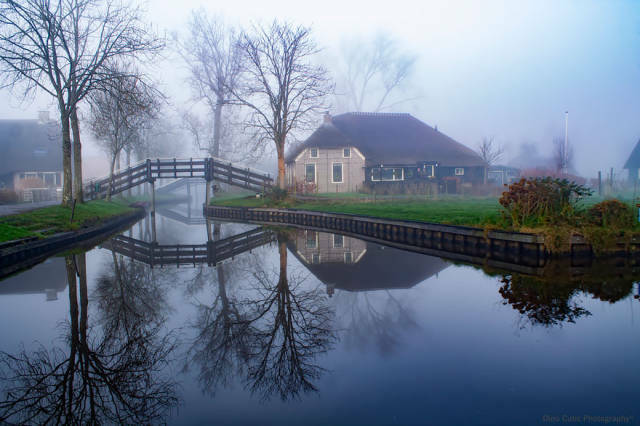 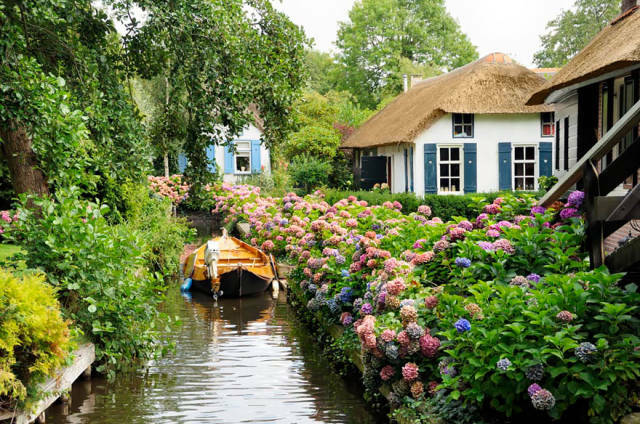 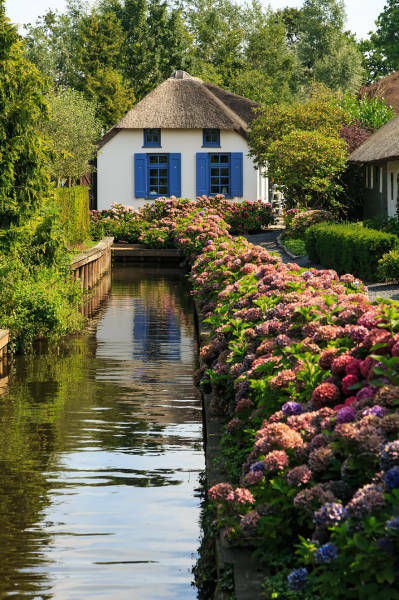 This village is called Giethoorn and it has no roads, only canals and 176 bridges. 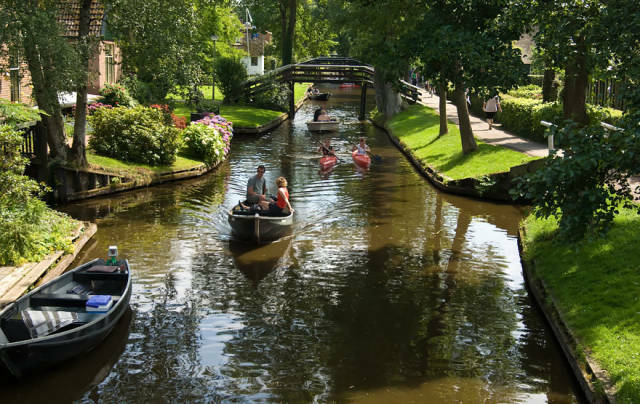 Tourists have to leave their cars outside the village and take a boat to visit it. 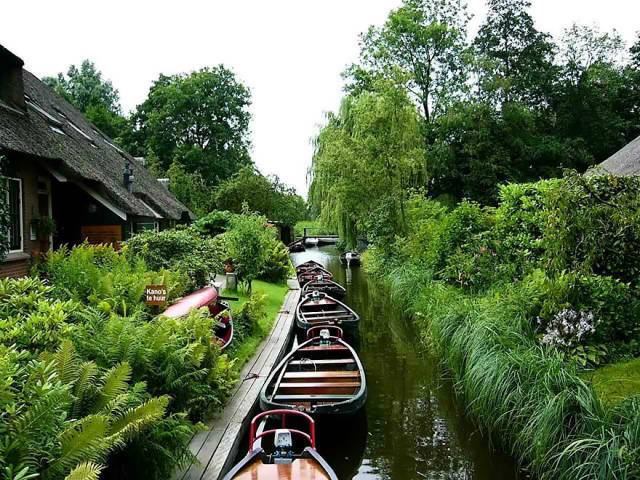 And the boats here have noiseless engines. 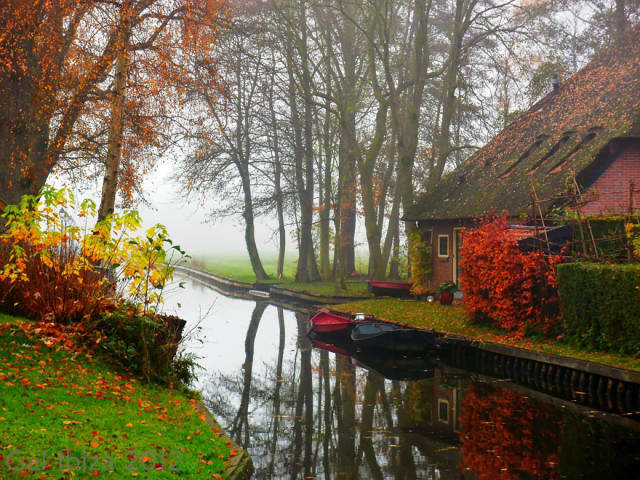 Just imagine how peaceful it must be here.